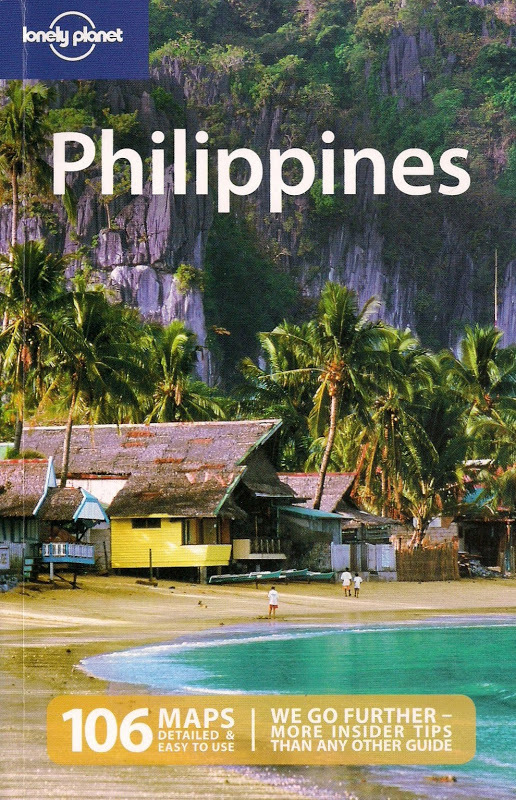 The Nomadic Pinoy: Mabuhay Ang Pilipinas! 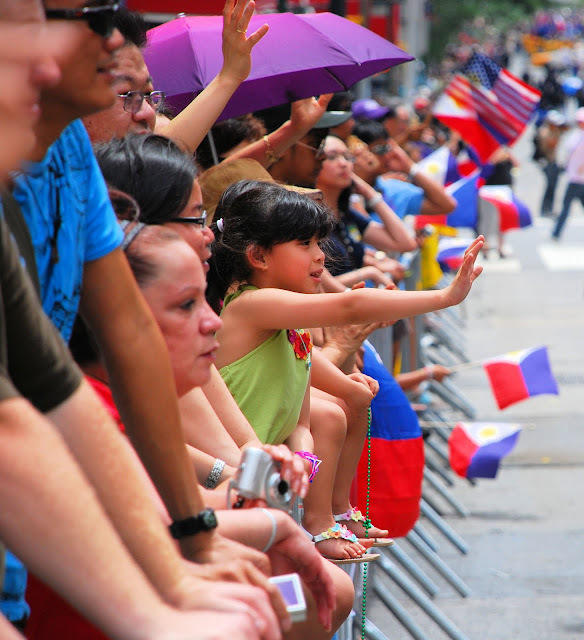 Today is the 112th Philippine Independence Day but the Filipino community in the greater New York area already commemorated the event last Sunday with a patriotic parade and a street fair. Just like previous years, there was a huge attendance of Pinoys that it felt so much like we were in the middle of Ayala Avenue in Makati and not Madison Avenue in Manhattan. Conspicuously absent - probably because it's not election time anymore - were politicians from New York and Manila. Which really is better as we were able to focus on more worthy participants - teachers, nurses, engineers, police officers, even kids from local schools who all have Pinoy blood running in their veins. This truly was a proud moment to remember our roots, even if we're thousands of miles away from it. 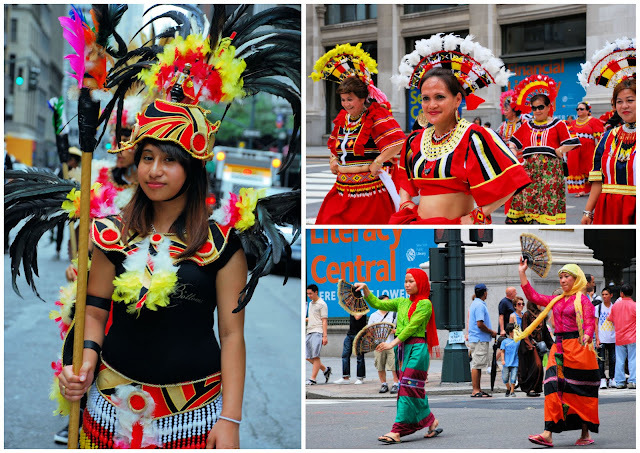 As always, this Pinoy parade feels like a Mardi Gras. . .
. . . and a little dazzle of showbiz. Who says Bayanihan spirit is dead? Proudly made by Pinoy- bili na po kayo! "dalawang order po sa akin . . .
halo-halo, barbecue, banana cue & fish ball. Comfort food to end a really long day. Great pictures, as always. 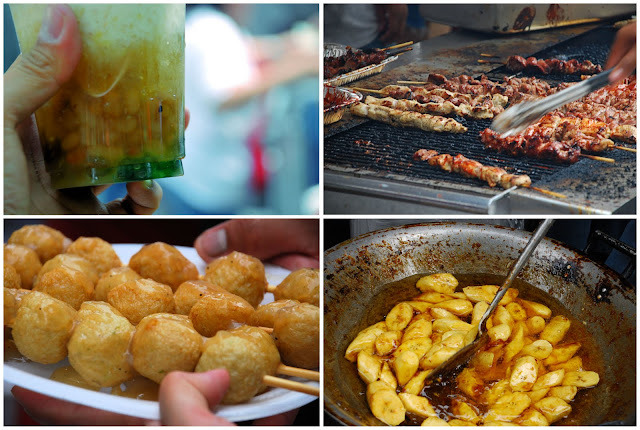 Fingers crossed I'll be visiting Manila next month - will try to sample more food this time! It's a new era full of hope for the motherland! I am beaming with pride by just looking at the photos! Thanks for posting. I enjoyed reading. As always. As always sir, ang ganda ng shots! i love these photos! gives that warm feeling of pride... and hope. ang saya naman jan. i don't know if we have the same thing here in sf. would be nice to participate at least once. ang sarap naman ng fishball. what did you try? 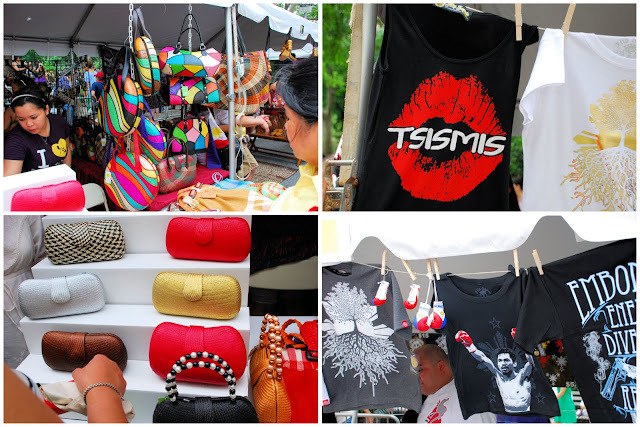 and i like those pinoy-themed tees. I'm not sure if we have anything close to that in LA. I know we have none in Orange County. In San Francisco, my daughter and grandson attended a Pinoy parade and it was over before my grandson even realized it had started LOL. We'll get our act together eventually - I think our kababayans here already have, I'm just not aware of it. yahoooo! ang saya-saya ng independence day sa inyo. feel na feel ko ang pride bilang pinoy. ang gagaling ng pics mo. winners lahat! wow! kudos to the pinoy! kudos to this post! i like this post. may mga pinoy nypd pala. but i like the old american woman with the expressive shirt. Nice share! I think we had something similar, minus the artistas. But I just stayed home to catch up on sleep. 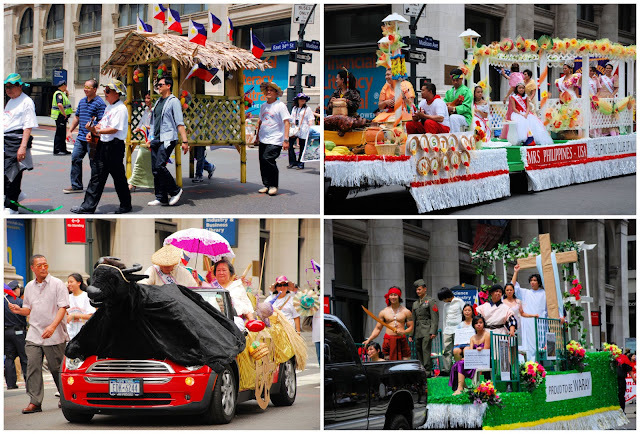 although i already saw some local news clips about this parade (particularly the float that carried christian bautista and sarah geronimo *wish she wore a filipiniana that's more apt for the occasion), i always like it when you feature pinoy pride and activities in your part of the globe. the parade in luneta here that was shown on tv last saturday with the outgoing president didn't strike me a bit despite the fact that they splurged PhP 10M for those floats that boasted off PGMA's contributions to her country. that american lady wearing edsa people power shirt is even more inspiring! Wow! That's an amazing parade! Talo pa yata yung parade dito sa Maynila! I would have loved to be there in person.